When working in oilfield environments, poor grip not only reduces productivity, but it can lead to serious hazards as well. The Ansell ActivArmr 97-100 Hi-Vis Kevlar Oilfield Services Gloves have been designed to provide enhanced grip with an oil- and water-resistant design, helping to ensure safety and efficiency on your job site. 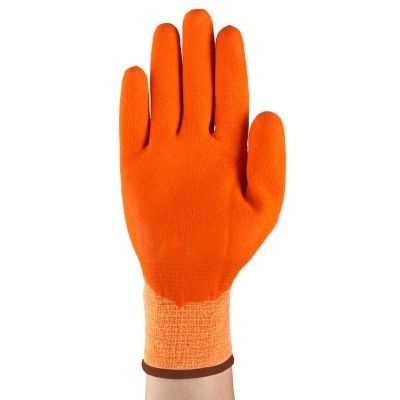 The Ansell ActivArmr 97-100 Gloves are designated Category III gloves, meaning they have a complex design which is intended for the highest levels of risk. 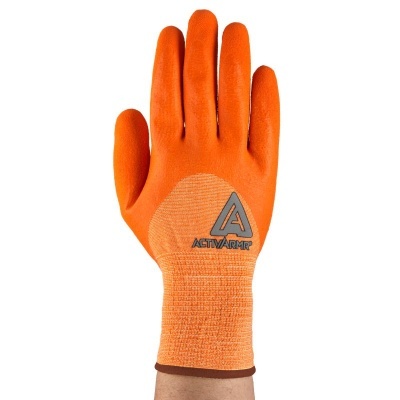 The Ansell ActivArmr 97-100 Gloves are supplied in four different sizes. Please measure the circumference of your hand around the knuckles (excluding the thumb) with your hand open and your fingers together, and the length of your hand from the tip of your middle finger to your wrist.